SoundMagic HP100 review | What Hi-Fi? SoundMagic has a strong back-catalogue of in-ears, so we were looking forward to hearing what the over-ear HP100 headphones would offer – and we aren’t disappointed. Packing 53mm drivers, they’re big without being overly bulky. The earpads and headband are soft and comfortable in use. The fit is secure, but never tight. And when you're done, the ear cups swivel and fold away. Build quality is high: despite featuring a lot of plastic the HP100s never feel flimsy. The headband expands with satisfying clicks, and the removeable (coiled) cable screws into place neatly. 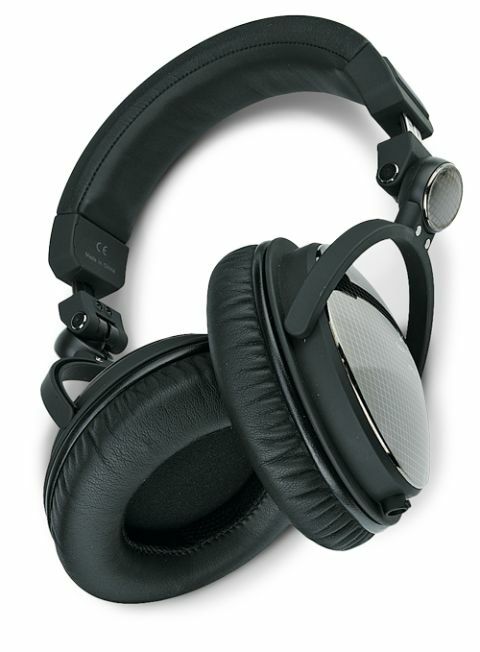 For closed-back cans, they offer a well-balanced, spacious sound. But their real strength lies in the high-end, with a sparkling treble that makes jazz and classical music shine. Bass isn’t as accomplished, but it’s still deep, detailed and controlled. Unfortunately, it’s the midrange that suffers, giving a slightly flat, relaxed signature that rounds off some dynamism, particularly in the vocals. Not perfect, then, but for a first attempt at over-ears we think that SoundMagic has done a good job.